The Elves of Ilfelin learned to survive in the craggy rocks of the Eastern Mountains. They were known for the speed at which they could cross treacherous landscapes. 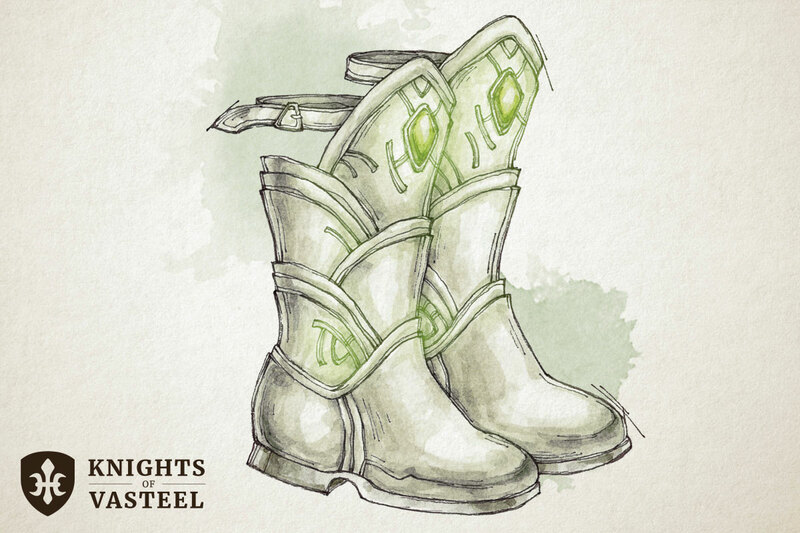 Their clothing and equipment were crafted to enhance this ability even further. It is said, that with a good pair of boots the slowest Ilfelin warrior could outpace any living creature through the rugged landscape of their home. While you wear these boots, you can use the dash action as a bonus action. Additionally, whenever you make the dash action, your movement is not affected by difficult terrain.